As a 40+ year French Horn Verteran and retired band director, John's decades of experience make him the go-to resource for brass instruments, especially French Horn. He was a highly successful band director in the Houston/Clear Lake area for 30 years. Since retiring from band directing, John has been teaching French horn and conducting master classes at several school districts in the Clear Lake area. Many of his students have achieved region, area and state recognition. 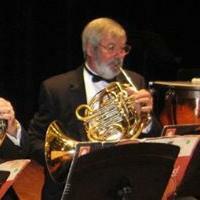 John is currently principal horn with the Galveston Symphony Orchestra. He also plays with the Clear Lake Symphony Orchestra and is often called upon to substitute with other area orchestras. In addition to his playing, John directs the orchestra at Friendswood United Methodist Church. John began his time with Music and Arts as a "drive team" helper with our Educational Representative, Ted Williams. He then worked the temporary location during the start of school rental push before the Webster store opened its doors. He has been with the Webster store almost since it opened. John calls it a "hobby job" because he enjoys helping students get that first instrument and later their upgrade as they get ready for high school. He aims to keep the "band candle" burning bright. Most of the time when you come to the Webster store, you will find John wearing purple. About the only thing he loves more than band, orchestra or French horn is TCU Horned Frog football. Yes, he likes the Texans, Rockets and Astros too, but he does bleed purple!